Tekken 7’s new downloadable content pack will roll out the next edition of the long-running mode Tekken Bowl this August on PlayStation 4, Xbox One and Windows PC. 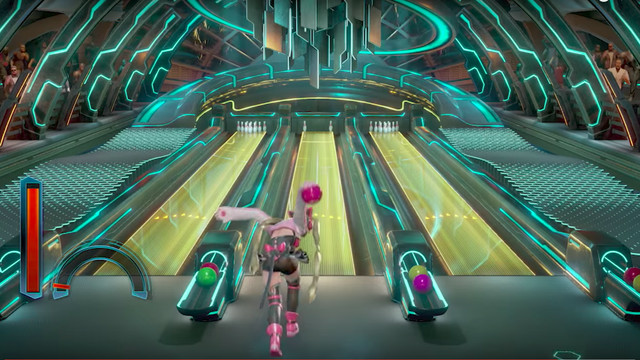 Dubbed “Ultimate Tekken Bowl,” the DLC will allow players to take their favorite Tekken characters down to the lanes to face their fiercest combat challenge — ten-pin bowling. Tekken Bowl was introduced to the fighting game series with Tekken Tag Tournament, a series compilation of sorts released as a launch title for the PlayStation 2. A standalone version of the minigame was released on iOS in 2011, but has since been taken off the app store. This is the first time Tekken fans will be able to experience Tekken Bowl on console since Tekken 5: Dark Resurrection. Check out the trailer above to see series director Katsuhiro Harada bowl a double-fisted strike while rocking out to some killer nu metal. Oh, and you’ll get a sneak peek of some gameplay footage as well.